Posted on January 29, 2019 by Dan Boshart wrote in Entertainment News. It has 0 Comment. 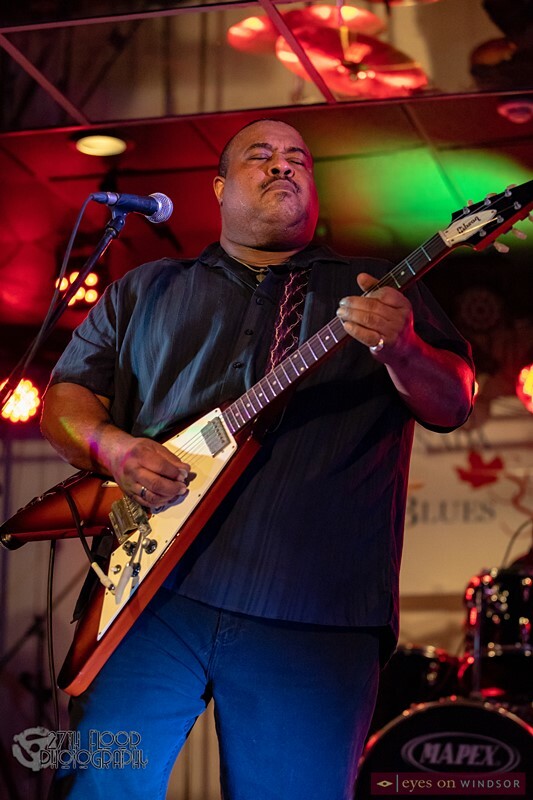 Blues is his business, and Larry McCray proved it to a less than capacity but boisterous crowd at Canada South Blues Society’s first major show of 2019 at Rockstar Music Hall (Jan. 25). 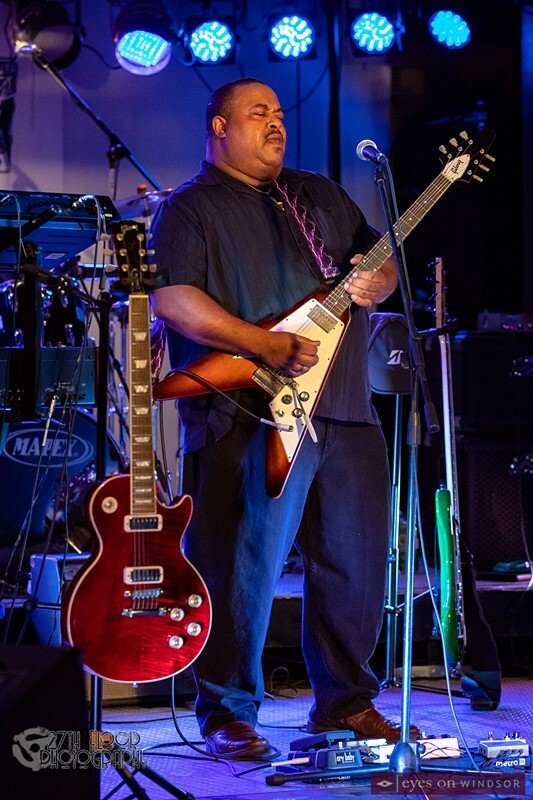 With Clever Keys on keyboards, Corey Ingram on bass and brother Steven McCray on drums, McCray played with a soulful intensity that makes him a favourite at popular Chicago blues clubs like Buddy Guy’s Legends and Kingston Mines. 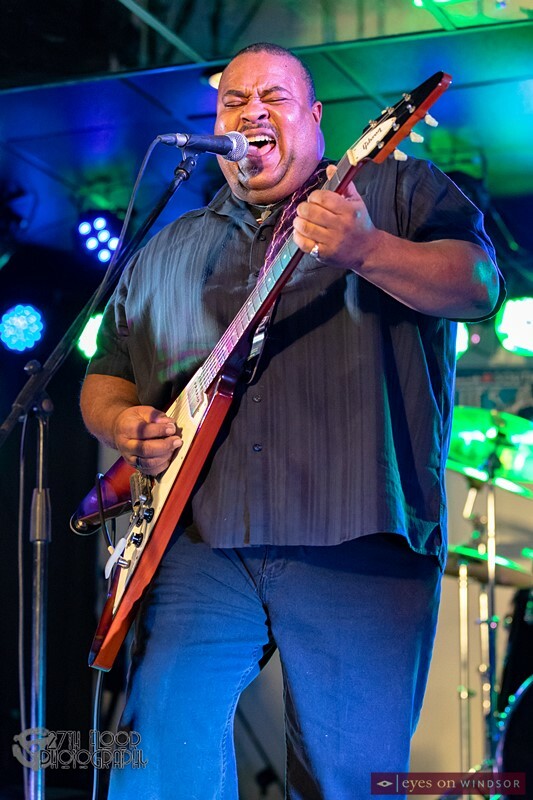 Larry McCray performing at Rockstar Music Hall in Windsor, Ontario, during a Canada South Blues Society concert held on Jan. 26, 2019. Photo by Dan Boshart. 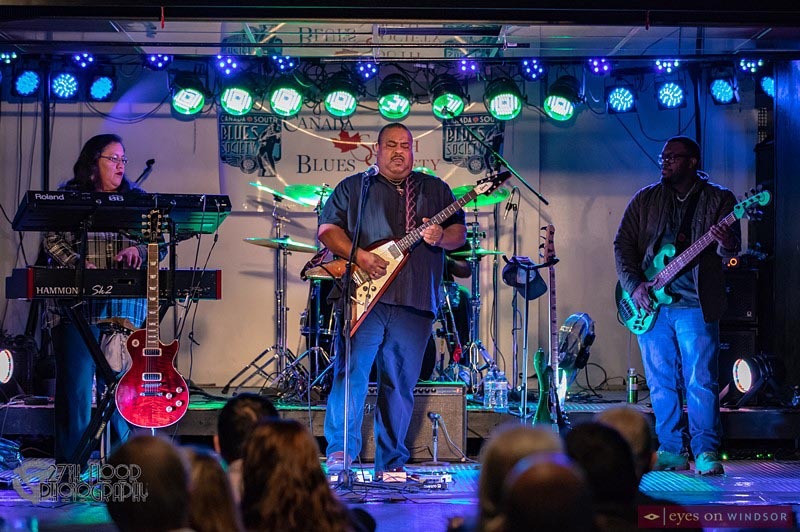 Born in Magnolia Arkansas and raised in Saginaw Michigan, McCray brings a traditional blues sound with a touch of funk and a dash of rock and roll to his audiences. Raised by a blues musician father who played guitar and harmonica, he was inspired by, as he calls them, The Three Kings, BB, Albert and Freddie. Larry’s older sister Clara, herself a disciple of Freddie King taught him the basics on guitar and from there Larry worked his way up in the business. 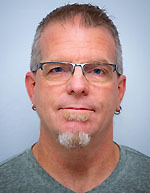 The first few years he was an auto worker by day, musician by night until his big break in 1990 when he was signed by Virgin Records as the first artist to their now defunct blues division, Pointblank Records and recorded his debut – Ambition. The year 2000 was also special for another reason when Larry became the recipient of the “Orville Gibson Male Blues Artist Of the Year” award from a group of nominees that included legendary guitarists Jeff Beck and Eric Clapton. In addition, Larry McCray was inducted into the Canada South Blues Society’s Blues Museum Hall of Fame on February 14, 2009. Eight studio albums and one live album later, Larry continues to play Gibson guitars and dazzle audiences all over the world, keeping the blues alive for new generations of fans and musicians alike. 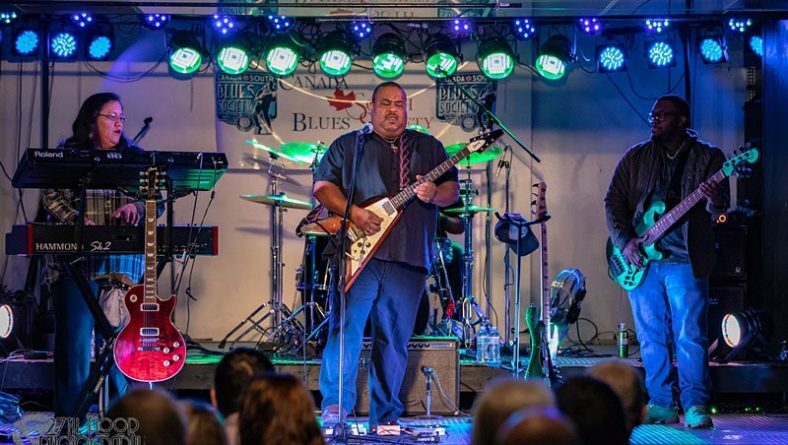 The Canada South Blues Society are set to host several more incredible Blues acts in 2019 both in Windsor and Chatham. They include chart topping award winning singer, songwriter, and pianist Victor Wainwright (March 29) and 27 year old fiery head turning saxophonist, vocalist, and songwriter Vanessa Collier (Apr. 27). 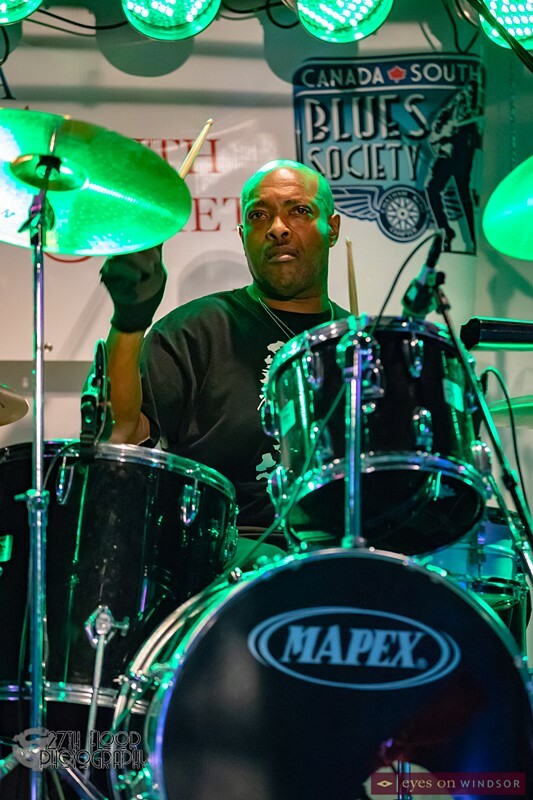 Steven McCray on drums performing during a Canada South Blues Society concert featuring Larry McCray at Rockstar Music Hall in Windsor, Ontario, on Jan 26, 2019. Photo by Dan Boshart. 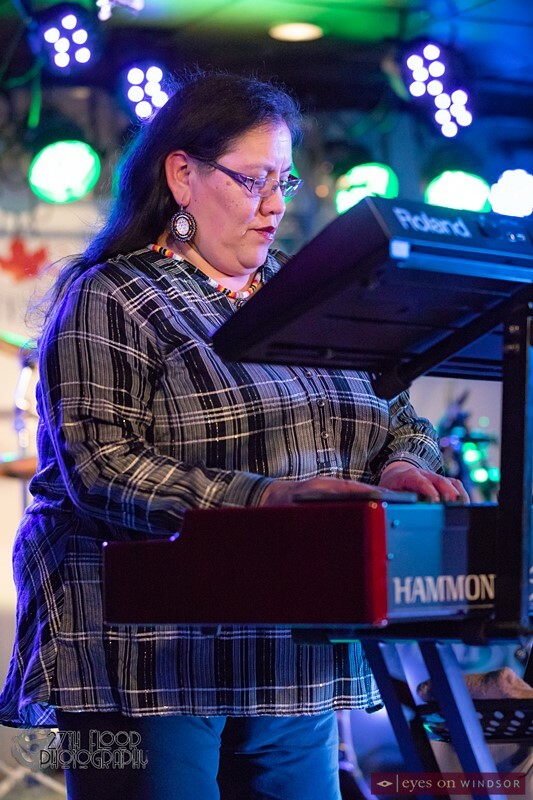 Melodie ‘Clever Keys’ Whitebear on keyboard performing during a Canada South Blues Society concert featuring Larry McCray at Rockstar Music Hall in Windsor, Ontario, on Jan 26, 2019. Photo by Dan Boshart. 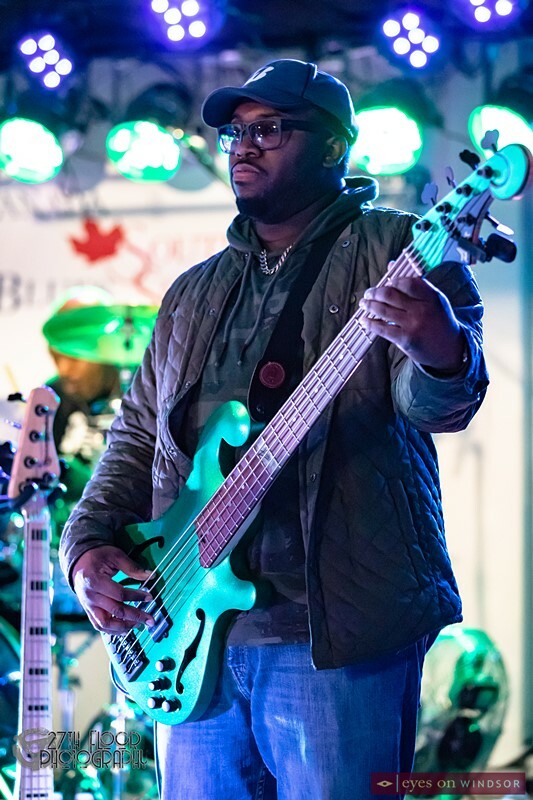 Corey Ingram on Bass performing during a Canada South Blues Society concert featuring Larry McCray at Rockstar Music Hall in Windsor, Ontario, on Jan 26, 2019. Photo by Dan Boshart. The full set of pictures form this concert can be seen in a photo gallery on the Eyes On Windsor Facebook page.